Sometimes you cannot find logic on why would a business abandon a lot of brand new unsold cars on their showroom floor. It does not make financial sense to close the doors to the car dealership until every last vehicle has been sold. As you can tell by the title this isn’t always the case and for various reasons some car dealerships close down with brand new cars still siting in the showrooms and some of those will eventually become rare classic cars with close to zero miles. This time capsule Subaru dealer on the island of Malta and featured here on CarsAddiction.com is a case of the latter but no less tantalizing. Although I didn’t enjoy my experience owning one, it still gets my heart rate up to see a new-in-the-wrapper Subaru XT Turbo 4WD with next to no miles on it. This one is also right-hand drive, as the island nation was once under British rule so many of the cars still bear the reminders of how the English prefer to sit and steer. This example would surely bring significant money (for an XT, at least) given the recent rise of interest in these weird 80s icons. A brand new Subaru Sambar! Although these are popping up more and more stateside thanks to the 25 year exemption, I haven’t seen too many wearing lime green paint and in new condition. 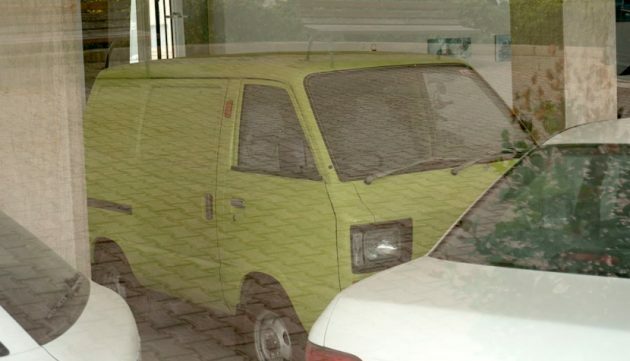 Most of the ones being imported are the pick-up bodies as well, so a delivery van set-up is also a bit unique. There’s at least one other Sanbar in the showroom, which actually is of the two-seater cab / pickup bed configuration. Here’s the one our own Scotty G. will likely swoon over, as he’s been on the hunt for a mint condition Justy for years! This car and the low-spec Impreza it’s parked next to appear to have shed some fluids over the years, but it doesn’t matter – this is still a Subaru fanatic’s dream find. I love the old-school dealer artwork still on the walls as well. 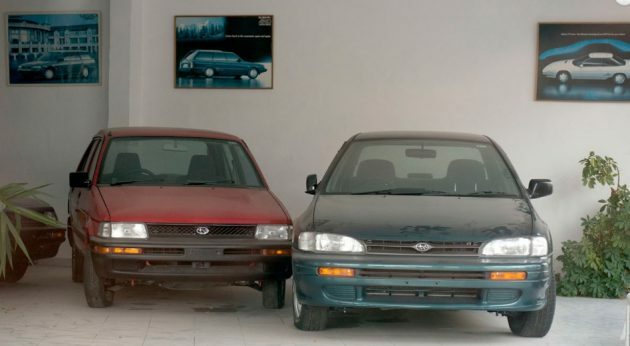 If I had endless money, I might do something stupid for the XT and the Sanbar, but if you read the story at the link, the commentators have deduced the owner has no interest or need in selling. Turbocharger Vs. Supercharger: What’s the Difference, Anyway?